When you are deciding if you need a small business applicant tracking system, it is crucial to understand what benefits this software can offer your business. You have to know what you are to gain in comparison to potential cost. A small business applicant tracking system provides an array of benefits that will impact your business. 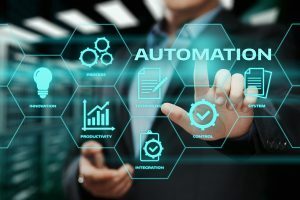 In the most general terms, it will automate recruiting functions that waste your valuable time as well as help you utilize more effective recruiting techniques to hire employees faster, to compete, and to hire better employees, thereby reducing turnover. Excited yet? Keep reading for the details. Recruiters waste a lot of time posting advertisements to job boards. With an applicant tracking system, job openings can be submitted to multiple job boards in an instant. This benefit only requires that you find an applicant tracking system that does indeed post to multiple job boards and follow its instructions for linking the software to the boards. The rest is effortless, each and every time you run a hiring campaign. A great deal of time is also wasted reading unformatted resumes or formatting resumes. With the former, it is difficult and therefore time-consuming to scour dozens of resumes when they each look different. The education, experience, and contact sections will be located in different spots on the resumes, dates will be formatted in various ways, and differing fonts and visual styles could be a mental distraction. All of these factors can make reading and comparing resumes uncomfortable, confusing, and time-consuming. The problem is that formatting them by hand to add to a CRM or send to someone is also time-consuming. It’s much more efficient to have software instantly do this for you, for your own reading and for meeting the formatting requirements of someone else involved in the hiring process. All of the time you save not posting to job boards is time you can spend getting more strategic with your job advertisements to attract better candidates or take more time vetting candidates. 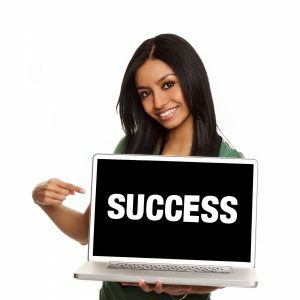 In this way, you not only save time, which is money, you also improve your hiring process further, bringing about more cost savings and more profit. Attracting candidates to your job openings is important, you don’t want them to lose interest and get a job with one of your competitors. It could be excellent candidates too; in fact, better candidates may be more likely to give up and move on because they have a greater sense of opportunity. failing to offer them web or mobile application options. waiting too long to interview or hire them. Most job applicants today want to apply online and/or on a mobile device. If you aren’t catering to these applicants, you will lose out on a lot of quality help. They’ll also want to see an informative careers page so they can research the company and learn what to expect about the hiring process. All three of these needs can be met with a small business applicant tracking system that has a careers page function. It will make the creation of an informative, professional, mobile-friendly careers page easy. Time to hire for most businesses is too long and it’s costing them money in extra hiring expenses and quality candidates. Don’t let your business suffer the same fate. The many automation and organization functions a small business applicant tracking system offers streamline your hiring process so it is both much quicker and more efficient. A small business applicant tracking system offers a wealth of functions of make your hiring process more organized and efficient. All the information you need is available in one place, with the candidate’s resume, including a tracker to state where they are in the hiring process and notes on the candidate from previous conversations and observations. This will make one individual hiring manager much more efficient as they don’t have to remember all these facts or scramble to find them at a moment’s notice. It is also a lifesaver if more than one person does the hiring as anyone using the system can see what everyone else sees. And what if your hiring manager quits? You’d have no idea where they had left candidates or what they knew about them without one system like this to track everything. A small business applicant tracking system offers many reporting and analytics options that you may not have been able to afford or manage previously. You need these functions to optimize your hiring processes, reduce costs, and improve hires. And you can view these reports by the day, week, month, or year for easy comprehension and comparison. You probably don’t realize all the mistakes business owners, hiring managers, and recruiters make that give the business or client a horrible image or actually insult the candidate. We wrote a previous post titled, What Job Candidates Wish Recruiters Knew, and it highlighted some alarming failures from businesses. recruiters reaching out to candidates with an opportunity, asking for a resume, and then never calling back. changing hiring steps or information mid-hiring process without acknowledgment. giving incorrect information about the hiring process. sending job offers the candidate just rejected, sometimes more than once. Retaining quality candidates, maintaining their interest, and informing candidates of what to expect require good communication with candidates. Notice I didn’t say excellent. Excellent is great, and aim for it, but I just wanted to point out that candidates are so starved for even the barest minimum of communication from hiring managers that you’ll be raising the bar just by working on it at all. The communication benefits of a small business applicant tracking system begin with an automated response upon receipt of the application. The candidate applies and immediately hears back so they don’t have to wonder if it even went through. If you write an informative email to be sent to the candidate, they can also be made aware of what the next step will be, when to expect to hear back, and more. This will make the candidate feel that you respect them, they will not worry about whether you are even pursuing their application or how long it will take to hear from you, and they will feel a greater investment in your job opening. 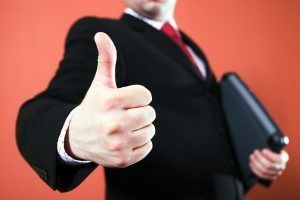 Communication continues through each stage of the hiring process as well, thanking them for phone or in-person interviews and letting them know what to expect next. Thankfully, a small business applicant tracking system makes this effortless. Rejection letters are crucial, and those with useful feedback are invaluable. I used powerful words in that sentence for a reason. Actually informing the candidate that they have been rejected shows them the courtesy of informing them to spend their valuable time looking elsewhere. It shows respect for the fact that they had an interest in your company and deserve to know the fate of their application. When you draft rejection emails, always include an invitation to apply again in the future. Some of your rejected candidates were fine, you just didn’t have enough openings, and of course you want to encourage them to return. Even those who didn’t quite cut it this time should be invited to apply again because they may have improved next year. You don’t want to miss out on that interested talent. If you provide useful feedback, candidates will thank you for telling them why they were rejected and giving them a tip to improve their chances of getting a job. This also helps you because you can encourage the growth of candidates who are already showing interest in your company. It’s like strengthening your network. Rather than always attracting new candidates, you are cultivating candidates. A small business applicant tracking system provides invaluable benefits to your business, saving you time posting to job boards, helping you retain interested candidates, make your hiring processes more efficient, providing reports and analytics, helping you maintain a more professional image, and offering unparalleled communication opportunities with candidates. The savings and therefore increased profits you gain from using a small business applicant system far outweigh the costs, if there even are any costs. Some applicant tracking systems are free. Recruiteze offers efficient recruitment tools to help HR and recruitment professionals meet the staffing future head on. Our small business applicant tracking system allows you to parse, format and easily navigate candidate information, so your online recruitment process is more efficient. You get a custom careers page and application system, which ensures your candidate experience is top-tier. Stop doing recruitment the hard way, and start using Recruiteze today. 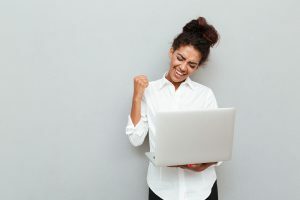 Applicant tracking systems, or ATS, have gotten a bad reputation among job candidates because they feel an ATS unfairly impacts their chances for the job. They aren’t really wrong, but the problem isn’t with applicant tracking systems themselves, rather how they are implemented. An ATS can be poorly used and exclude candidates it shouldn’t. It’s also quite possible that what candidates are really seeing is a poor candidate experience at the company and blaming it on an ATS because it is new. This is why you can’t just purchase a small company applicant tracking system and wing it. An ATS will save you time, money, and headache, and provide a better hiring experience for both the company and the candidate, but only if it’s used properly. You can’t address a problem unless you understand what’s causing it. The point of an applicant tracking system is to make hiring more efficient, usually by automating as much as is feasibly possible. We all know that sometimes what is intended to be efficient doesn’t always pan out and you end up with something that overdoes or inaccurately performs its function and is no longer efficient. Sadly, this can happen with your small business applicant tracking system. The good news is that it is preventable. The most common complaint from job applicants is feeling that their applications have been discarded unfairly. It may be that their resume was never even read because a system chucked it because it didn’t fit the designated format or that it was immediately rejected because it didn’t meet keyword requirements. Those are pretty scary accusations, and it is quite possible that most people who say it are right. Applicant tracking systems do format, parse, and store resumes in a candidate database. They also sort and can automatically reject applications based on keywords This sorting is intended to actually improve a recruiter’s appreciation of a candidate’s application because it can be more easily found again for a future job opening and because the recruiter has more time to really examine the application rather than skimming it with a numbed brain. Recruiters receive so many job applications and many of them were not sent with a thoughtful interest in the company and therefore the candidate is not even a serious contender. That doesn’t mean recruiters should go, “oh well”, in the face of lost applications. #1, human eyes and application tracking systems can quite easily discard a resume too readily. In fact, the human may do it simply because they’re tired and the resume format and words don’t come into play at all. #2, recruiters can weed out most of those haphazard resumes with better job advertisements and careers pages. Applicant tracking systems can help with that. In your ATS or on the vendor’s website, discover how it discards candidates for issues with the resume format. This is not a deliberate feature, rather a limitation of the software, and most vendors of applicant tracking systems are already addressing this problem without you having to do a thing. If you discover that your ATS is lacking in this department, consider how likely it is you think they will fix the problem in the near future. Talk to them about it. If you aren’t satisfied, look for a small company applicant tracking system that has fixed the problem. Do be aware that the problem can’t be eradicated entirely. Some resumes will just not be able to be read properly by a non-human. You can help candidates create a resume that won’t be discarded by offering resume formatting instructions on your careers page. Make sure it can be easily seen. Are they really the most important keywords for hiring? Could you add more? Make sure keywords include must-haves, good-to-haves, and nice-to-haves. Consider variations on keywords. Consider adding soft skills into the keyword list. You don’t want to miss out on the benefits of finding creative candidates or giving an enthusiastic under qualified candidate a try. You can learn for yourself how your ATS performs by trying it out. Draw up the ideal resume and submit it just like you are a job candidate. You could be surprised to discover that what you, the business owner or hiring manager who wants the employee, deem the best fit for the job, your small company applicant tracking system rejects or rates very low in compatibility for the job. This is hard proof that your ATS is not configured properly. Tinker with the keywords and run the resume again. Keep doing it until the ATS agrees with you. You should also check how it handles mistakes or the uncommon. Review functions on the ATS to see if you can control how carefully it checks for spelling and grammatical errors. Sometimes an ATS can be too sensitive, more than you care for it to be, and reject candidates because of just one mistake. Maybe for your job, spelling and grammar wasn’t that crucial anyway, but you didn’t know it was doing this. Even worse, sometimes a small company applicant tracking system will consider something a mistake that isn’t. Some correct words, names, and acronyms won’t mesh with the ATS. Consider how many times your word processor or cell phone considers something a mistake that you firmly intended and know to be correct. This can be particularly harmful for your diversity efforts. If you were planning to hire refugees or remote workers from other countries, fields on their resumes may look incorrect. Also, if English is not someone’s first language, a person could understand and make allowances for spelling and grammatical mistakes while the ATS wouldn’t. Tweak or turn off this function, if you can. If not, consider switching your small business application tracking system. You always have to be mindful of candidate experience. A small business applicant tracking system doesn’t erase that need. It can help you improve candidate experience, in fact, it should, but it won’t if you aren’t ensuring that it does. Candidate experience doesn’t happen by accident, applicant tracking system or no. The candidate should feel informed. On the careers page and in communications during the hiring process, include information that will eliminate doubts and confusion. The hiring process should be quick. Whether or not you hire them, whether they should hang around and wait for you to do that, is a huge decision for a candidate to make. Don’t give them a chance to get frustrated and look elsewhere or for someone else to make them an offer. Access is crucial. Candidates should be able to apply to your jobs on their pcs, tablets, and mobile phones. If they can’t, they’ll prioritize a company who does. The hiring process should be easy. If candidates struggle with the application, as in there are errors or glitches or it simply takes too long, they may stop. #1, they may feel they can better spend their time applying to another job. #2, errors make your company look unprofessional. Candidates need feedback. If you reject them, tell them. Don’t just not reply to them. Secondly, but no less importantly, let them know why you’ve rejected them. This shows them the respect to provide them with useful information to improve their career. It’s also an investment in your future talent pool. Invite them to apply again in the future and you’ll have to do less sourcing and networking to get quality, passionate talent. Your small company applicant tracking system should make it easier to provide all of those components of good candidate experience, whether through an up-to-date career portal, easier communication, or a more efficient hiring process. There are two ways to ensure you are providing a good candidate experience. #1, survey candidates to get feedback from them on the speed, ease, consideration, and accessibility in your hiring process. #2, try to apply to your jobs periodically. See what it is like for you. Automation is a wonderful, life-saving addition to your hiring process, giving you more time to get to know candidates and plan hiring strategies, but it isn’t perfect. Technology works in tandem with humans, not instead of them. This means you should devote a little of your saved time that automation gives you to bring human eyes and brains back into the equation. Every so often skim rejected candidates and candidates the small business applicant tracking system has rated as a low match to ensure you agree. The small business applicant tracking system should not hurt candidates, it should help them as much as it helps you. If candidates are unhappy with the hiring process, there are several things you can do to fix it. Check the applicant tracking system to ensure it isn’t discarding or rejecting candidates you don’t want it to, evaluate the keywords you are using, and prioritize candidate experience. Recruiting or hiring in small businesses could be challenging and stressful at times. In fact, it could be even more challenging than normal business chores. It becomes a tedious and time-consuming activity to filter the resumes, schedule interviews, and promote job openings on multiple online job portals manually. Many small companies are unable to hire a manager completely dedicated to recruiting activities due to budget constraints, unlike giant companies. As a result, the small company owners themselves have to spend a lot of time and effort in the hiring process to be able to source great talent for their company. To expedite the entire recruitment processes and save a lot of precious time and effort, a small business applicant tracking system is a perfect solution for all recruitment needs. An ATS will help small companies with job posting, accepting applications/ resumes, filtering them, and scheduling interviews with the shortlisted candidates. You may want to check out our article on small company applicant tracking system for more information. Traditionally, applicant tracking systems were expensive, complicated, and could not fit into the budget of small companies. But, today with exceptional and unprecedented growth in technology, an ATS is affordable and has a user-friendly interface with some awesome web-based features. Now the cost to use a small business applicant tracking system is much lower. Let’s explore some things which are unknown about small business applicant tracking systems. But before that have a look at the advantages that give small companies an upper edge against those big giants! Unlike the MNCs and bigger industry giants, a small or growing company offers a flexible environment to employees such as work from home options, more vacations, flexible timing, emergency leave, lucrative performance incentives, job rotation, part-time facilities and more. There are lots of paperwork and legal formalities involved in bigger companies. This is the prime reason that small businesses have more control over the sourcing cycle. A small business that offers remote job opportunities to its employees can fill the job openings much faster. In fact, it is easier to monitor and manage the work from a remote position in case of small teams. It is much easier to stay happy and strike a work-life balance when working for a small company because the process is flexible instead of rigid in nature. Moreover, millennials love this kind of flexibility, freedom, and autonomy when it comes to working. The ATS for small companies automate much of the recruitment legwork and helps improve internal communication within the team. Have a look at some of the stellar secrets about small company applicant tracking systems. With traditional recruitment methods, the recruiters were often confined to the office and it was mandatory for them to have access to the computer all the time or do the paperwork. The applicant tracking systems boost the recruiter’s productivity immensely. 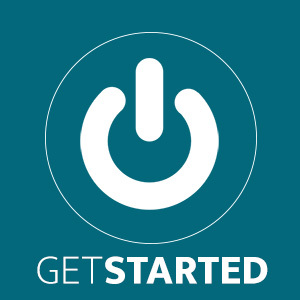 Most of the ATS available today are cloud-based which allows the recruiters or users to connect using any device such as a smartphone, tablet, or computer. So, the recruiters have the power to work and operate from anywhere across the globe. A small business applicant tracking system helps recruiters connect to the various social platforms such as Facebook, Twitter, etc. This mode of networking helps the recruiters reach a wider array of potential candidates. Nowadays, all the recruitment software or ATS have an option of social media integration which enables the recruiter to link to their social media profiles as well as other online job portals. Check out some professional recruiting tips for small business owners. For a better candidate experience, it is really important to have a quick response time when the teams are communicating internally or with the candidates. An ATS is really a game changer as it automates important components of the recruitment process such as response emails. This further helps improve the organization’s communication channels and improving the candidate experience. Recruitment software enables the organization to receive job applications from various resources such as the company’s own website job portal and other job boards. This facilitates the recruitment team’s ability to gather candidate data and analyze it which further improves the recruitment process. Apart from streamlining the data flow, recruitment software provides various analytics such as the number of applicants, number of viewers, recording candidate response, etc. This is what all recruitment software is designed for. It aims to eliminate all possible manual aspects in recruiting except for the personal interviews. Recruitment software can also schedule time and dates for the HR team. This automation provides an extra degree of control for the hiring team and allows them to maintain full focus on conducting the personal interviews and short-listing candidates. The HR team can find better suited candidates with the help of recruiting software by providing them accurate search results and saving their precious time. Every ATS is equipped with versatile features and set of tools that can be used to tailor the recruitment searches and help to find a better match with minimal effort. Framing a good sourcing strategy is one of the most common challenges faced by the recruitment industry today. Companies are not sure if they are hiring the right person or hunting the resource in the right direction or right place. The ATS helps small companies analyze their sourcing strategies and detecting the loopholes. The same software helps the organizations customize the software as per the modified sourcing approach and improvise accordingly. Creating attention-grabbing and engaging job posts is an important characteristic of recruitment. Many ATS provide a customizable template for the job posts. If no member of the HR team is capable of writing professional job posts, then the same can be done by outsourcing the task to creative writing experts. These experts will help the hiring team create eye-catching and interesting recruitment posts that will appeal to the type of candidates the organization has been looking for. The team can work on the recruitment process only during the office working hours unless they are interested in carrying a huge pile of paperwork home with them. With recruitment software, access to any recruitment service or process can be made at any time of the day 24/7. This certainly improves productivity and allows the recruiters to respond to the applicant’s queries on time, thereby, improving the overall efficiency. Traditionally, paper applications were kept in a file cabinet. After the inception of computers, the e-applications were kept on an internal computer server database. Both these approaches are highly insecure. A slight data breach or hack may not only cost the company the loss of applications but will also increase the risk pertaining to misuse of candidate’s data or other sensitive data. The ATS today are totally backed on cloud-based servers which are secured against the data breaches and natural calamities as well. Yes! The small company ATS helps to recruit both internally as well as externally. Internal recruitment refers to giving chances to the outstanding employees already working with the company to move up the hierarchy whenever the positions are available. A small business applicant tracking system provides an excellent employee performance tracking component that records the skill sets of the employees working within a team and identify the top performers. This helps the company mark a comparison between the employee who is already onboard and the external candidate and find the best fit. Stats prove that organizations that communicate seamlessly and effectively are more likely to retain the best employees for a longer run. Collaboration and communication go hand in hand. Collaboration ensures that the entire recruitment process is a teamwork rather than solely relying on a single shoulder. From delegating tasks to sharing notes and recording feedback, ATS makes the complete process easy for a multi-member team in order to partake in the recruitment process. ATS provides an equal opportunity to every team member to contribute which makes them feel valued. Consequently, the unity in diversity swells across the board. There is no rule indicating that having recruitment software is only a cup of tea for big industries or organizations. Even if the openings are limited and the budget is stringent, there’s an ATS available to meet every requirement and budget constraints. Having an ATS is a long-term investment that will reap good returns in terms of compliance, collaboration, and efficiency. Hiring for a small company or organization is somewhat different than for a large organization. Large organizations have a luxurious budget completely set aside for recruitment activities such as outsourced headhunters, professional internal recruiters, and more. There is no such thing in a small company. In fact, the person responsible for hiring may have other roles and responsibilities as well. This makes it even more difficult to prioritize recruitment. This is where an ATS or small company applicant tracking system can be extremely helpful. The main aim of any ATS software is to attract, engage, screen, and manage the candidates easily. Learn how ATS can help your small business grow. No two ATSs are the same! They may differ in features, price, ease of operation, etc. The one thing they have in common is their ability to automate, organize, and process applications at lightning fast speed. This ultimately saves time, money, and human effort. There are few things any small organization needs to consider pre, during, and post installation process of ATS so as to avoid failure in the future. Let’s first look at the things which you need to take care in the pre-installation period. It is very important for a small organization to define its budget and evaluate how much the company has already spent on the hiring process and how much more room is there for an additional ATS cost. They also need to understand if any cost-cutting is required from other elements to free up the money? This is essential if the company is on a tight budget as the organization will spend only on the features which are actually needed and will help to avoid overspending on unnecessary features. There are so many options with small business applicant tracking systems to lure the buyer. Most of the ATS buyers get attracted to the additional bells and whistles over the actual features. Luckily, there are many different kinds of small company applicant tracking system software available that allow the user to purchase only those parts or features of the software they actually needed. Another benefit of choosing a customizable applicant tracker is that the software can be scaled and customized to meet the requirements and demands of each company, making it perfectly aligned with the growing business needs. It’s the responsibility of the HR manager to evaluate and choose which HR functions/processes require automation and which don’t. Rather than beginning with which processes don’t require automation, prioritize the things to reach the desired business outcome. Perform a backward evaluation and try to strike a balance between human interaction and automated solutions. The difference is clear from the terms itself. Web-based ATS run on cloud and can be accessed anytime, anywhere, and from any device. The desktop-based applicant tracking system requires downloading software and installing it over the available resources. Here the ATS can be accessed only locally. The choice depends on the company’s work environment, the amount of traveling employees do, and the access mode and must, therefore, be made wisely. There are many vendors in the market that offer monthly subscriptions while some of them offer long-term contracts. Many providers offer free demos as well as trials which is a great option to determine the perfect fit for a small business. It is very important to understand what exactly is to be looked at while selecting a small company applicant tracking system. The main job of any ATS is to offer automatic job posting, resume uploading, tracking candidate progress, interview scheduling, resume collection from emails, SMS/email alerts, etc. Some additional tools which may be essential for remarkable recruitment are reporting and analytics, social connectivity with sites such as Facebook, Twitter and LinkedIn, collaborative hiring, and more. Some tips to consider during the installation process. Being a small organization, it is very important to save time and money on every possible endeavor. If the ATS installed is complicated and hard to pick, then the organization has to spend a lot of money on getting the employee or employees trained on it. Almost all the ATS providers offer tutorials and incredible customer support, but small organizations should take into account how tech-savvy they themselves are before making a final decision. It is essential that the ATS for your small business integrates well with the existing system and blends well with the HR software already installed in the organization. Integration with mobile applications, the company’s career page and social recruiting tools is a pre-requisite. ATS should offer a single platform for every internal and external communication, including job postings, and offer a seamless transition with outstanding flexibility to carry out the company’s daily operations. Ideally, the ATS should fit every individual even if that person has a non-technical background. The interface should be fully user-friendly and make it easy to identify different features and get things done. Every software requires additional training but it should be short and precise. Most of the ATS providers offer a free trial period, indeed it’s the best way to explore the software and its ability to meet the company’s requirements and become familiar with its various features. Even if the software is fully user-friendly, companies do require external help from time to time. If the support is delayed or the response time is poor, it may hamper the company’s recruitment process. Increased time to hire is a bad indicator of the company’s brand image and will hinder the fulfillment of the company goals and objectives. Whether it’s an induction program or a troubleshooting issue, it is very important that support should be provided in a timely and effective fashion. It’s a wise choice to choose the latest cloud-based ATS software. The SAAS version of ATS will help the small companies to avoid spending hefty sums on IT infrastructure, support and maintenance. The cloud or web-based ATS software can be accessed remotely using a tablet, laptop, or smartphone that helps the recruiters to work on the go. Stay protected from viruses, malware, and Trojans. Enjoy all the latest features. A small company should know where all the documents and resumes or other files are being stored on the server. All the server details including IP and location should be known. Storing the data over cloud ensures data protection even in case of natural calamities. The ATS should be properly authenticated using a multi-factor authentication system. If the software is not authenticated then the system is at the risk of compromise and could be a victim of data breach or hack which may result in loss of all the data. Apart from the loss of data, there is an increased risk of misuse of data which could damage the company’s brand image. It is essential that all the key performance metrics are well defined. These should either be defined by the vendor or the hiring manager. This ensures that all the team members have got clear pointers to work upon. If these metrics are not defined as functional milestones, they may negatively affect the recruitment process. After implementing recruitment software, it is essential to use it to its maximum capacity. Make sure that all the existing HR requirements are accurately mapped and embedded in the applicant tracking system or the recruitment software. Customized solutions may require some expenditure upfront but considering the long-term benefits, it is worth the investment. Make sure that all the activities are logged properly in a .txt file. If the software does not support logging, make sure that this feature is incorporated. This helps immensely when the system crashes (or other issues) and helps provides quick fixes for errors and troubleshooting. A little negligence pertaining to any error will result in system failure or fatal errors in the live environment which ultimately is a bad sign for the company and the clients. A robust ATS is the backbone of any organization’s HR team. A little awareness will help in avoiding failures and fatal errors in an applicant tracking system for small businesses and agencies. Every company needs to hire the right people with exceptional skills and good personalities to drive contributions for the success and growth of the organization. But hiring can be a complicated process and it often consumes too much time to find the right talent. The best thing that can be done is to involve different people, both from inside and outside the organization. These people will help carry out different processes correctly and find out if the candidate fits the organization’s needs. The right recruitment software or hiring solution simplifies the recruitment process and saves a lot of effort, time, and energy. Are you still using an outdated ATS? Switch to the latest and most advanced applicant tracking systems which will help you source the great candidates now and in the long run. Check out these 10 outrageous ideas for your recruiting software and improve the quality, efficiency, and consistency of your ATS. The job market today is almost saturated. For a single job opening you can expect hundreds of resumes. So, it is really a tiring and challenging job to sift through all the applications and then pick the right candidate. And the things go worse if the HR team does not get exactly what is expected from the ATS. So, it is always recommended to loop-in the experts or the experienced people in the recruitment process. These seasoned professionals will share some effective tips and tricks to improve the functionalities of ATS which in turn will help the organization to post the requisitions quickly. Specific dashboards: They will help the experts get easy access to the most commonly used features. Custom views/interfaces: They can be designed for talent acquisition leaders, hiring managers, and HR professionals. Role-based permissions: They will help control both personal and sensitive information. Mobile compatibility: This is an essential add-on for making prompt decisions. Deeply examine the working of ATS by looking at the end-to-end processes. Try to figure out any gaps or loopholes in the process. Make sure that your ATS is able to automate all the underlying processes. It is crucial to strike a balance between the internal processes and the ATS. After having a look at the end-to-end processes, it’s a good idea to explore the processes that can still be automated and simplified. For an ATS to be effective, the communication and the coordination should be in perfect sync. The ATS should be able to reach the candidates intelligently so as to reduce the time-to-fill. By automating these things, the hiring team will be able to fill the positions much faster. “Change is the only constant.” The scenarios and organizations will be changing over the time and it’s the ATS that has to keep things going. Organizations need to think very holistically about the online recruitment software as per their future goals. The decision makers can eventually sit with the stakeholders and discuss future goals. The decision makers should be fully aware of the hiring needs that get automatically derived from these goals. What information is being captured by ATS? What information is required by the hiring team for making a great decision? Is there a gap between the internal processes? In case a gap is identified, the organization needs to work on additional information that might be required or any field that needs to be modified. In case the ATS is capturing irrelevant and redundant information, it’s always better to eliminate those fields. Optimizing the ATS means to streamline the workflow not only for the hiring team but also for the candidates. Social media is a very revolutionizing and powerful recruitment tool. According to the statistics, more than 90% of companies are turning towards social media for recruitment with a 73% success rate. Job postings over the social media are absolutely free as compared to hefty sums charged by other e-job portals. Furthermore, social media sourcing is an excellent approach to attract passive candidates. Despite the amazing power of social media, many recruiters are still reluctant to use it for their recruitment drive. However, with a latest and greatest ATS, the hiring team can quell some of the issues and concerns around social media hiring. The latest recruitment software is able to push the jobs straight to the social networks. Above all, the candidates are able to apply from their social media accounts such as those from Facebook and LinkedIn. An ideal ATS will enable the current employees to post job openings to their social media accounts and attract the candidates from their own network. If your goal is to achieve a seamless hiring process then you need an ATS that “plays nice” with all your other processes. It’s always easy to post a new job opening every time and then apply filters to scrutinize the candidates. However, this is indeed a time consuming and inefficient activity as the recruiters need to review each and every candidate again. Instead of doing this all over again, considering the candidates who already applied for other job openings would be a good optimized option. ATS has made the process of storing the resumes much easier as all the data of the applicants who apply for any given position at any point of time gets stored in the ATS database. A unique profile ID gets created for every candidate who applies for the first time. So, whenever a new job vacancy arrives, the recruiters can efficiently comb through the profiles stored in the database and can find the best match. Suppose the organization is looking for a web developer to join the team in Santa Clara. Then, they can simply search their ATS to look for a web developer who may have applied for a similar job role in the past. The ATS available today is designed to handle the Boolean search functionalities as well. The recruiter can narrow down the search using “AND”, “NOT” and “OR” qualifiers. Going back to the case, the recruiter can easily zero in on all the candidates who meet the requirements by simply searching for “Web Developer” AND “Santa Clara”. Also, an ideal applicant tracking system will give the recruiter an insight into the job status. The recruiters can even drill down to the candidate level and keep track of his progress. In fact, an ATS gives recruiter the power to evaluate specific jobs, see the number of applications that are being received, and access them. ATS will give the recruiter a complete summary of all the pending jobs and the status of the candidates. This functionality helps the hiring manager identify the stages that are stalled so that he can take appropriate action in order to keep the hiring moving forward. Every company has a pre-established workflow for recruitment. The ATS should be flexible enough to replicate or support that process. Suppose there are three stages of interviews which are to be conducted by three different persons in an organization. Applicant tracking systems should be able to communicate with each team member and send the interviewer automated notifications when it’s his turn to get involved. Each member is able to reply directly through the email and the comments are automatically imported in the candidate profile in the ATS database along with his feedback. The modern-day application process goes beyond the traditional process of submitting the resume and the cover letter. Improving the applicant tracking system may sound like a tedious task, but the benefits, a seamless and speedier hiring/recruiting process and better candidate experience, speak for themselves. Recruitment software is undoubtedly a long-term investment and something that you don’t need to change every year or two, just like a car! Being new to the industry makes it hard to make an informed decision on who offers the best free recruiting software. Selecting a new ATS or applicant tracking system, commonly known as online recruiting software, for the organization doesn’t happen often. Traditionally, recruiting software was standalone, expensive, and difficult to implement and integrate into the existing systems. It also required high-end learning and training for the already time-strapped recruiters. But, it is really important to go with the changing technological trends and get the latest versions of the ATS. The recruitment software available today are web-based or SAAS compliant. They can, therefore, be operated from anywhere. The managers can operate them sitting at home or even from their hotel rooms. Check out some tips to overcome common hiring roadblocks with the help of recruiting software. In case you are planning to upgrade, purchase, or use free recruiting software, it is recommended that you ask a series of questions from the software vendor so as to get an in-depth knowledge about the ATS and find yourself in a position to make an informed decision. It may happen that the pre-built free recruitment software needs customization in order to match the existing processes of the organization. Most companies, whether they are small or large, might want to customize or add features by developing the technology in-house. In fact, many smaller firms have a fixed development budget and want to customize the software to their requirements with the vendor’s technology. It may happen that the recruitment software vendors may allow the organization to retain the intellectual property that was developed in-house even if the customization was done with the coordination of their software. On the other hand, some vendors do the customization for the company’s software separately and then hand over the code to the organization so that it can be integrated into the actual code. In either case, it is always a good idea to inquire about the exact specifications of the intellectual property agreement, if any. Q2. Is the recruitment software fully scalable to handle a large number of users? Many organizations rely completely on the demos given by the ATS vendors but the firms should understand that demos and live situations are poles apart. When a demo is organized, it uses 10-15 users or 100 users as maximum input. In a real situation, the user count can reach thousands! Even the web recruitment software or the ones based on SAAS are not fully immune to the hurdles pertaining to the heavy volume of concurrent users. The recruitment software should be capable of scaling accordingly to user volume. So, the vendor should either provide a demo regarding the scalability of the software or be able to provide documented scalability metrics. The data can be obtained from companies of comparable size which are already using the ATS. Click here to get a 15 days free trial of web-based ATS. Also, make sure that the software is developed using the latest in line trends and developments happening across the industry. Recruiter activity logs and candidate databases are crucial to the recruiting department of any organization. During the migration of the databases, it is of utmost importance to map the data fields correctly and accurately. It is always better to seek the guidance of a previous or existing client of the software vendor as he will be able to guide the team with appropriate tips or any consequences thereafter. Q4: Is the recruiting software web optimized? The recruitment software available today is equipped with a stellar user interface with a job publishing feature on the online job boards. Most of the recruiting software interacts automatically with the job boards as well as with the search engines via the API calls. All this helps with better distribution of the jobs and optimizing the content over the web so that it reaches the maximum audience organically. It is always better to dedicate a technical person for the centralization and optimization of the job content on the company’s website as well as search engines. The technical person should possess strong SEO skills which will be helpful in job distribution as well as driving users towards the company’s job page. Q5: Does the ATS support external application integration? An ideal recruitment software system should have add-ons or third party API support which help it to integrate/communicate with the social media sites, sales system, marketing software, and company email services. This application integration feature is essential to develop a robust candidate database. We cannot deny the impact of social media in the job distribution. Moreover, posting the job requirement on each and every website is a time-consuming activity. Also, it is a tiring activity to contact all the candidates regarding the interview schedules or to send the application acknowledgments. Not having these features seriously affect the candidate experience. Also, the applicant tracking system should be able to import the candidate details from their social media profiles in case they have applied from there. Q6: Is customer support available during and post installation? When an organization purchases recruitment software, it not only buys the technology but the service support as well. It is important to know that the brains behind the development of the ATS actually understand the recruitment industry. If the software is developed by a random person or if the support system is handled by a person with a non-recruitment background, how will he be able to satisfy customer queries? Is customer support available through e-mail, live chat, call, or all three? What is the ideal response time? Also, it must be known whether the support is provided in-house or it has been outsourced to some call center. It is a common observation that most of the recruitment software vendors charge extra for the customer support. So, the organization needs to ask about any of those hidden charges before making a purchase. Q7: Where is the data getting stored? It’s really important to know how and where the data is getting stored on the server. The vendor must share the location of the data center location along with the security backup plans in case of a threat or data breach. The vendors should provide clear policies on data protection, security, and storage. Q8: Where can the recruitment software be accessed? A majority of the recruitment software available today are cloud-based and they are indeed the best option available these days. But choosing a cloud-based service doesn’t necessarily imply that the software can be accessed from anywhere in the world. While making a decision, the company should ensure that the software is accessable remotely from any location as well as phone/laptop/tablet. Apart from recruiters, the candidates should also be able to upload their CVs or resumes from their mobile, Dropbox or Google Drive. Q9: How often is the recruitment software updated? As already mentioned, purchasing a recruitment software is a once in a lifetime thing and, ideally, organizations stick with the same provider for many years. Organizations must understand that the software has to keep up well with the changing trends and technology. The ATS should be fully scalable, regularly updated, and should keep pace with the changing scenarios so that the recruiters can continue their jobs efficiently. The vendor must disclose to the users whether the software will be updated manually or automatically. Q10: Is the ATS user-friendly? ‘User-friendly’ is a broad term which comprises the interface, ease of navigation, response time, and many more things. First, any ATS should be designed from a non-technical person’s perspective. The interface should be clean and subtle so that anyone can easily understand the working of an ATS after having a glance at its interface. The GUI should not be confusing. All the necessary buttons should be available on the home page without creating a mess. The software should be able to load fast and have a quick response time. This should again be checked in the demo by simulating a heavy traffic scenario. The ATS should have flexible reporting and powerful analytics so as to ensure that the easy and quick generation of reports. Adding all the bells and whistles to the software won’t work if the software fails to achieve its original goal i.e. automating the existing recruitment processes. Before buying any software, the organization should figure out improving the efficiency of the activities that actually drive productivity. Also, the questions mentioned above should not be considered as a mandatory feature set but as a functionality directive. Recruiteze |The Best Free Recruiting Software for 2019! Are you searching for the best free recruiting software to help you make the right new hire? If so, click here to start using Recruiteze today and for free! Using our powerful free recruiting software actually makes hiring great candidates easier and there’s no obligation. With Recruiteze, you get mobile responsive designed recruiting systems that comes complete with a custom job board, unlimited email templates, unlimited automated resume formatting and parsing, and so much more. Stop looking at the other online recruiting software available, and click here to make your online recruiting efforts easy again. Are Toxic Managers Undermining Your Business Goals? Toxic managers are all too common. Ivey Business Journal pointed this out in a descriptively frightening way when they said, “toxic managers dot the landscape in most organizations,” and went on to depict this situation as making the workplace seem like a war zone. Business owners should not consider this tolerable. People are supposed to be working, not ducking figurative bullets. Did you know that Recruiteze is one of the top applicant tracking systems of 2018? That’s right! You can try Recruiteze today with our free trial! Think about what toxic means, that something is poisonous, potentially “deadly.” Toxic managers exhibit behaviors that create an unhealthy environment in the workplace. Imagine trying to grow a plant in toxic soil; it’s going to grow malformed and unproductive, or not at all. When a manager is toxic, they inhibit employees’ ability to perform daily tasks and achieve goals, ultimately leading the whole company to struggle. All your big business goals come about, or not, because of the daily actions of managers and employees. If the little everyday dealings are healthy, then productivity, innovation, and profit thrive, if not, you can try to force your business goals, but they won’t turn out as well, will require more work, and are likely to not last. Sustainable productivity, innovation, and profits are nurtured from a healthy culture, like that plant in healthy soil mentioned above. Most advice out there on toxic managers consists of telling employees how to navigate their workplace around a toxic manager. A little of the advice is geared toward informing managers that they may be toxic. But what about the people hiring and overseeing those managers? Don’t they, i.e. you, have an important say in this? You’re paying employees to perform work-related tasks and achieve goals; how can they do their jobs effectively when they have to spend time, energy, and mental resources trying to overcome their manager? It actually seems like the employees are having to manage the manager. They have a job, and that’s not it. You, as the business owner or CEO, should proactively address toxic manager behavior so employees only have to think about their work, their responsibilities, and maybe even their passion for their work, not making up for and protecting themselves from their manager. The toxic manager issue is covered within advice on a strong company culture, but that’s a vast topic. Business owners and CEOs get distracted by pretty offices, employee perks, and fancy ideals and too often forget that the managers are the crucial element in making things happen, or not. CEO interviews, mission statements on websites, and even internal communications may state what sounds like a healthy culture, but employees spend all day with the actions, or lack-thereof, of their managers, and that’s the true “face” of the company, that’s what the culture actually is. Ensure that your managers are creating the culture you need for your business to succeed. First, you need to know what a toxic manager is. Basically, a toxic manager is someone whose behavior makes it difficult for other managers and employees to perform their jobs around and with them. Rejecting responsibility for their actions. Not communicating ideas, goals, expectations, and news. Avoiding necessary managerial actions, such as giving feedback, from fear of conflict. Suppressing or not encouraging other ideas, viewpoints, complaints, and creativity. Only seeing the short term goals or the surface success. Not following the company’s rules but expecting others to do so. Definitions of toxic managers vary, from personal defects like having difficulty sticking to one plan, to unreasonable behaviors like not being willing to listen to other points of view, to being downright abusive such as calling employees names and other forms of harassment. 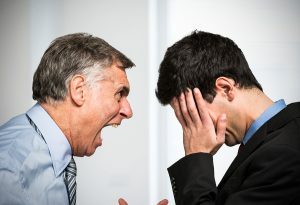 It isn’t practical or necessary to take disciplinary action or fire someone for one or an occasional toxic behavior, unless it is abusive, but it is best for the business to try to limit toxic behaviors, through a strong company culture and through looking for signs of toxic behavior and addressing them. While they vary in severity, they can all detract from your business. After determining what a toxic manager is, you need to look for signs that one or more is undermining your business. These signs shouldn’t be hard to spot when you think to look for them. These aren’t all conclusive. You may have a wonderful manager who’s having to lead their employees with old equipment and the employees are upset about that, reducing workplace satisfaction and productivity. Of course, if an issue is worse in one team than it is with others, the manager of that particular team is quite likely responsible, making it much easier to narrow down. Investigate any of these worrisome signs to determine their cause. Some amount of toxic management is probably to blame. Find existing toxic management behavior with employee surveys and exit polls, and maybe even monitoring what’s being said about your company by employees on social media and company review sites. It is frighteningly easy, even in many of the most celebrated companies, to find reports on review sites of favoritism, poor communication, a lack of trust, and unreasonable expectations. But it’s also important to conduct employee surveys and ask specific questions like, “do you feel inspired?” or “do you feel listened to?” Employees are so used to dealing with toxic managers that they may not offer up complaints because it doesn’t stand out to them. That doesn’t mean it isn’t hurting your business; it just goes to prove why the absolute best companies are trying so hard to think both outside and beyond the box, because the box has holes in it. Exit polls are also quite helpful because they tell you what has gotten so bad that it has driven employees to quit, and they are more likely to be uninhibited about their answers at this point. Hire with emotional intelligence in mind. Make your own goals and expectations perfectly clear. Work on a strong company culture that fosters the management you want. Monitor, monitor, monitor. You’ve got to keep up with employee satisfaction, retention rates, management’s actions regarding complaints, whether company culture is being adhered to, etc. Where it’s not watched, culture goes to seed. The best policies in the world mean nothing if no one is ensuring they are actually in place. You don’t want to just catch toxic management behavior after it happens, you want to limit its ability to happen at all. One thing that fosters a toxic management environment that is arguably not the managers’ fault is the hierarchical nature of the management structure in most companies. They would have to be particularly interested in seeing things from the employees’ point of view and willing to proactively pursue this goal to overcome its effects. “Oxford Economics proved that managers are woefully ignorant of their employees’ feelings and plights. 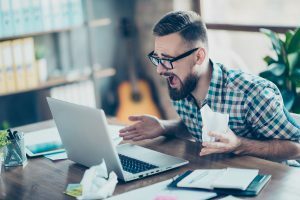 They surveyed more than 600 executives and 600 employees in 2015 and discovered an alarming disconnect that impacts employee satisfaction and performance. 53% of employees reported ambient noise reducing satisfaction and productivity. Only 35% of executives agreed. 63% of executives claimed their employees had the tools needed to filter out distractions in the workplace. Only 41% of employees agreed. 52% of employees said work/life balance was very important to them. Only 34% of executives agreed. 39% of employees said they were frustrated with the technology at their workplace. Only 29% of executives agreed. Try to reduce the hierarchy as much as possible, encourage teamwork among all, use team building exercises and employee rewards that get employees and managers to switch roles for a day, or literally get rid of the manager’s office. SpaceX and IKEA have removed the office. Elon Musk has a desk among his employees, and so do the managers at IKEA. Toxic management is poisonous to your business, and most of the time, employees are having to fix this toxic behavior all by themselves. That’s not their job. 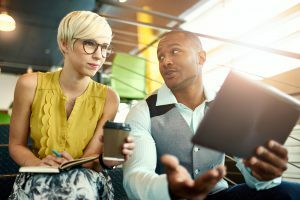 Let them do what they need to do and have a passion to do without hindrance or harassment by both monitoring to address toxic behavior when it happens and proactively reducing its appearance with a strong company culture. Recruiteze is on of the top applicant tracking systems for 2018. It can help you greatly manage your jobs, vendors, candidates, scheduling, notes and communications in one place. With our online recruiting systems, your hiring metrics are accessible from anywhere in the world. All you need is an internet connection. Try Recruiteze for free today! If you have any questions about applicant tracking systems or are interested in small business applicant tracking that offers unlimited access to all our services contact us today! With the business world becoming ever more interested in diversity and inclusion, hiring disabled workers comes into play for every business sooner or later. These workers are largely untapped talent and including them in your business provides game-changing cultural and profit-related benefits. IBM has been excelling at the inclusion of disabled workers for almost a century but most companies are just beginning to even recognize the need. Yes, need. 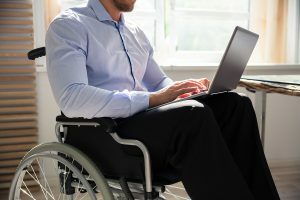 Read on to learn how hiring disabled workers will benefit your business and tips for making these efforts most successful. Did you know that applicant tracking systems for small companies can really help when it comes to recruiting new talent to your workforce? Check out the free trials we offer for our top-rated online recruiting software today to learn more. People who live with disabilities have unique viewpoints which bring diverse perspectives and experiences to your business. Their lives depend on solving problems others don’t have to deal with, meaning they have vast experience in overcoming obstacles and finding creative solutions. They are more likely to value and take pride in their work, because they have been denied the right to work, and to actually enjoy working with people. They are also often safer than typical workers because they are more mindful and careful of their actions. The government also provides some added incentives with tax benefits. The publication highlighted how companies were looking to disabled talent as a means to deal with a tough job market. There are many people out there who are capable and eager to work, but have been overlooked. Today’s companies are learning what a mistake they’ve been making and taking the challenge to rectify that mistake. Hiring disabled workers is a challenge, not really because of the workers, but due to the inexperience businesses have with utilizing them. It’s a new frontier, and new frontiers are always a challenge. You’re learning things, improving your business, and tackling obstacles. And you know who’d be great to teach you how to deal with obstacles? Disabled workers themselves. Bring them on and learn from them. Business owners often see disabled workers as a challenge that they aren’t because of misunderstandings, biases, and the oversight of traditional business concepts. You’ll want to start tearing these down so they don’t pose a barrier to entry when you start hiring disabled workers. First, make sure you and your managers aren’t operating under some common misconceptions. Business owners often assume that the accommodations disabled workers may need are too costly. Some disabled workers will need no or very little accommodation. Other accommodations need not be expensive. And finally, even if you do sometimes have to make a sizable investment, it is just that, an investment in the diversity and success of your business, so make sure to take the gains into account when considering costs. Business owners hear disabled and think they’re getting sub-par talent. This is why many people try to change the way we discuss this subject to include terms like differently-abled. Think about it, what does being blind have to do with your technical knowledge, or being physically handicapped have to do with your math skills? A disability is only one part of a person, one that often has no impact on job-related tasks. Sometimes disabilities actually make people better suited to particular jobs, for instance people in the autism spectrum excel in jobs using technical and math skills and actually feel more comfortable in repetitive jobs where other workers typically get frustrated. The interview process as it is normally conducted is a major hindrance to hiring disabled workers, so you should consider changes to your interview process. Some changes may be applied to all interviews as you find they actually benefit all candidates. Other changes may simply be offered when needed. You may want break up long, one day interview sessions into more, less demanding interviews like Microsoft has done. Most candidates would rather get it all done in one day, but some would find it impossible. If the latter is the case, you might want to hire disabled workers and have many other welcoming policies in place, but your interview process would be an insurmountable hurdle and you would still not reach your diversity goals. You will want to shift hiring managers’ focus from some common ways of thinking like that an applicant who doesn’t make eye contact, keeps their arms crossed, or only provides yes or no answers should be avoided. The reliance on these indicators is insufficient and a barrier to entry for many disabled workers. Depending on the culture, job-related tasks, and the individual, the candidate may still be a fine employee for your needs, but by holding them to these indicators made for typical workers, they may be ruled out. Also, an otherwise fine candidate may not be forthcoming with lengthy answers, but a hiring manager versed in more diverse interview tactics would know to ask them for more information. The interview processes we usually use are not designed with disabled workers in mind, so if we wish to include them, we need to reconsider and adjust our practices and expectations to take this information into account. Interview for and test for results. This is a much better indicator of whether any employee abled or disabled can perform their job functions. Because the business world has not been inclusive to disabled workers, they aren’t exactly flooding the typical job hunting avenues. Trying to attract them in typical manners is a good first step, but if you really want to be proactive about gaining more of them in your business, you’ll likely have to reach out to them a bit. This is particularly true if this is your first foray into hiring disabled workers and you want to get the word out that you are a business to look to. You can and should make your careers page more inclusive of disabled workers. Have a separate paragraph or page on the site designed for different groups, including one for disabled workers. Make the website accessible to them with its layout and functionality. Include information that refers to jobs for them in empowering tones like you might for any worker you expect great results from. Answer questions they may have about accessibility, accommodations, policies, and the hiring process. Don’t hide accessibility options at the bottom of the page, include them where they are easy to find and use like you would with links and CTAs for any other applicant. Discuss your plans to improve diversity on your careers page, social media, and job advertisements. Employ wording that includes and doesn’t exclude disabled workers. 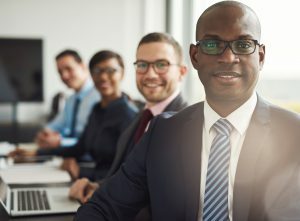 For instance, you want to discuss diversity, empowering all workers, the strengths you’re looking for that, or a work environment that sounds appealing or considerate to disabled workers and to avoid wording that would give an inaccurate image of your business as inaccessible or unwelcoming to disabled workers. Hiring disabled workers is a new frontier as we said before. Typical business concepts are often woefully inadequate, so we all have to learn as we go, using those who are ahead of us as guides and being proactive about looking for new ground. Also, there many types of disabilities and no two disabled workers are exactly the same. You can’t make one change and think your efforts are over. Provide flexible breaks so they can pause more often or when needed. Allow deaf employees to use smartphones with voice recognition. Offer standing desks, even if it’s just an add-on to an existing desk(your abled employees need these too). Stock up on braille keyboards. Those are four examples. Two require a little investment while the other two potentially cost you nothing. Do for your employees what you often want them to do. When you want a problem-solver, you expect them to find a solution. Don’t think, it’ll be too difficult or how will this work. Find a solution for them, with their help. Being a business owner is about being creative and getting things done. You can get this done too. Making your business more inclusive to disabled workers also makes your business better in general. For one, some of the changes you’ll make to improve hiring and working at your business will also benefit all employees like interviewing and tests for results and using standing desks. For another, diversity makes businesses stronger and more profitable. Disabled workers bring keen problem-solving skills and determination to a business. Your business needs them. Invest in them. Recruiteze is the best applicant tracking systems for small companies on today’s market. It can help you greatly manage your jobs, vendors, candidates, scheduling, notes and communications in one place. With our online recruiting systems, your hiring metrics are accessible from anywhere in the world. All you need is an internet connection. Try Recruiteze for free today!